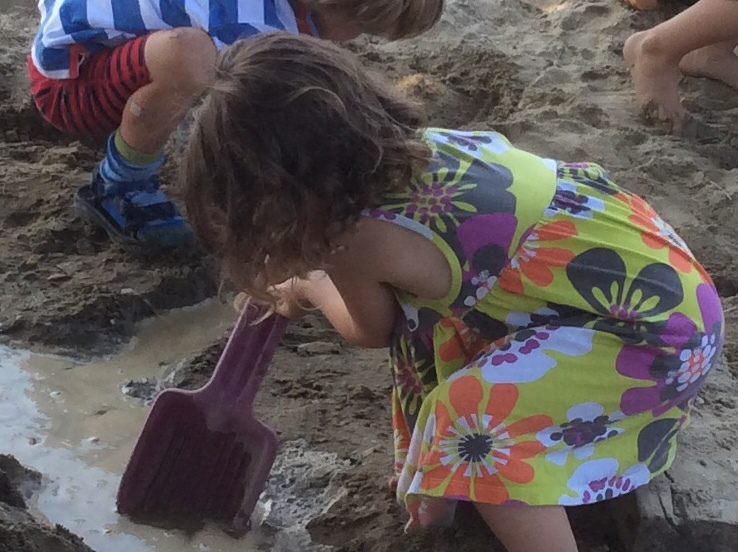 Our program is ​founded on the principle that children learn best through play. The day is complemented with a teacher­-led circle time where children learn rhymes, sing songs, and participate in story­telling. To take turns and respect the needs and desires of others. That school is a place where they are successful and valued. 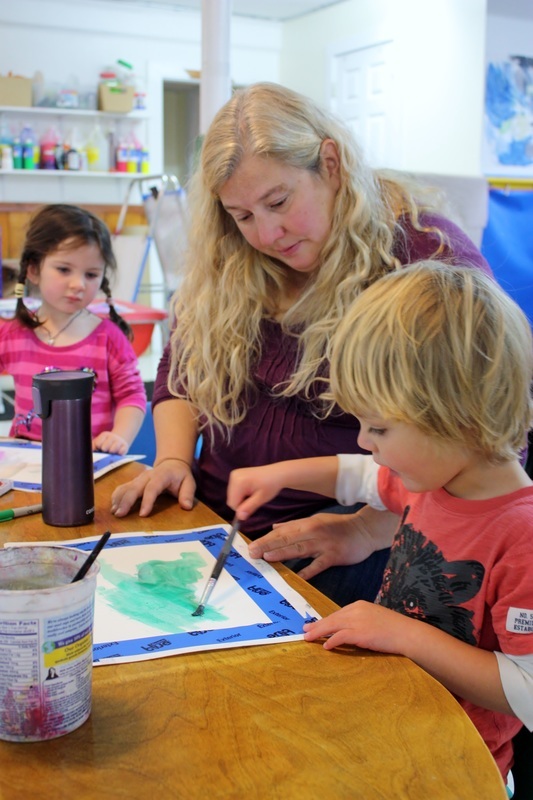 ﻿HNS is a non-­profit, parent-cooperative preschool for children ages three­ to five. Located in the heart of Hinesburg, we have been serving local families for over 35 years. We emphasize a play­-oriented approach to learning. We provide a supportive environment where preschoolers develop an awareness of themselves as individuals and as part of a community. school year. You choose the days your child will attend. All days are multi-­aged. HNS is recognized by the State of Vermont as a certified STARS (STep Ahead Recognition System) preschool. We are an Early Learning Partner with the Chittenden South Supervisory Union, Chittenden East Supervisory Union, and Addison Northeast Supervisory Union. Learn more about registration and how STARS can mean free preschool for your child. Wendy brings many years experience as an educator, parent, businesswoman and past HNS parent and board member to our school. Wendy’s Bachelors Degree in Fine Art from SUNY Potsdam translates into a classroom brimming with interesting and creative arts projects that integrate with ever-changing educational themes. Her years of experience with educating children include both preschool and school-age children at a number of different schools and daycare settings. Her breadth of experience also includes student teaching in art for K–12, the ELF program at Hinesburg Community School, and K–8 after-school programs. Wendy’s children attended the Hinesburg Nursery School and gave her first-hand knowledge and experience in the philosophy of the school, allowing her to participate as a parent, a substitute teacher, and board member for six years. Wendy joined HNS as a teacher in 2006. Wendy is also the owner/proprietor of the Blackberry Hill Bakery in Hinesburg, Vermont and resides here with her husband and children. Liz has many years of professional and practical experience with children of all ages. Her academic background includes a Bachelors Degree in Education from Lesley College and a Masters of Education in Counseling from Boston College Graduate School. She holds a teaching Certificate for Elementary School and for Children with Special Needs and is currently licensed in Vermont for Early Childhood Education, General Education and Resource Room, and as a Guidance Counselor. Liz has held several positions teaching and advising preschoolers, kindergartners and elementary school children in Vermont since 1988. She brings vast experience with teaching and supporting children in all areas of social and academic growth, as well as a background in providing creative and fun physical, outdoor, and craft activities. Her education and experience in guidance, and as the first-ever Guidance Counselor at Jericho Elementary School for five years, provide superb skills for assisting children and their parents with child development issues. Liz spent six years as Program Director at Camel's Hump Day Camp, a free, nonprofit day camp for children facing economic stress or other challenging life circumstances. Liz resides in Richmond, Vermont with her husband, Django the dog, her cat, and her chickens. She is the mother of three grown children. Django is named for the late Gypsy Jazz guitarist, Django Reinhardt. He is a sweet, gentle rescue pup who enjoys the company of people young and old. Django is especially fond of belly rubs, and pats from the children and their families. He repays our kindness by keeping the floors clear of fallen crumbs. When not working, Django enjoys long walks, meeting dog friends, chasing squirrels and lounging on the porch or by the wood stove with Liz.